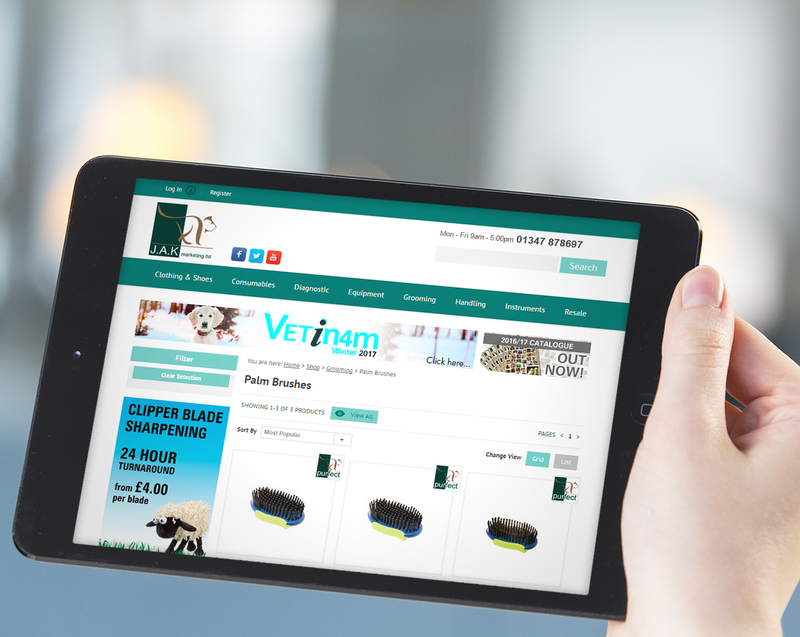 A B2B ecommerce solution with SAP integration for J.A.K Marketing, a leading supplier of equipment and instrumentation to the U.K. veterinary sector. With its large network of B2B clients J.A.K Marketing wished to be able to engage with them through an intuitive, easy to use ordering portal. This would have the advantage of a simple go-to destination for its customers, giving JAK a distinct competitive advantage, as well as the opportunity to trade 24/7. J.A.K Marketing required a well architected, simple to navigate website, to make buying from the website a pleasure. The system would need to integrate with J.A.K Marketing’s SAP back office system, where customer specific pricing was maintained. A new solution was required to have user specific pricing, product price breaks, credit account support and user permissions. PureNet was commissioned to provide a flexible custom B2B solution. PureNet’s track record in integration generally and with an expertise in SAP specifically, meant that the system was linked up seamlessly. 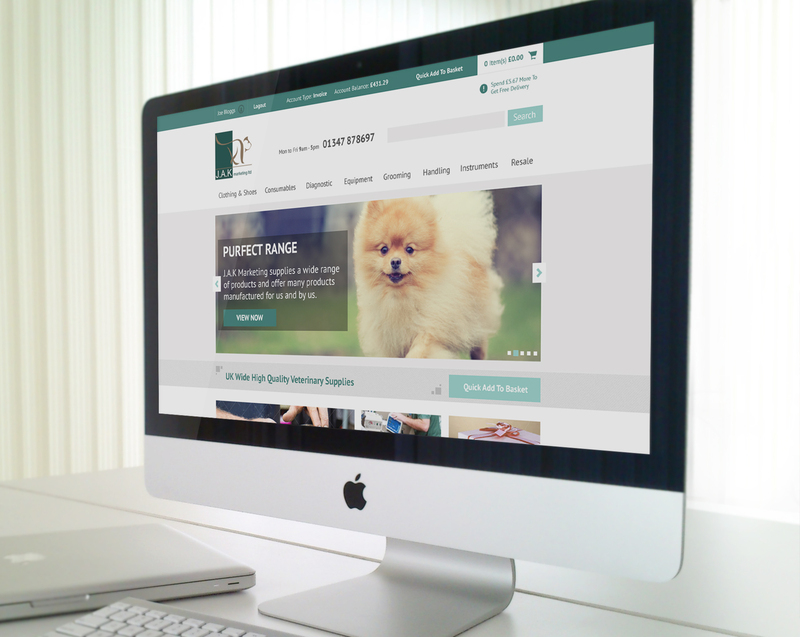 PureNet provided full content management and rich promotional functionality to allow the J.A.K Marketing team to provide compelling campaigns and offers. The site has been hugely successful for J.A.K Marketing. Their investment in the platform was returned within 9 months and it has helped them greatly expand their client base as well as leveraging more sales from their existing customers. The site has continued to expand with additional phases to capitalise on the performance. The new website has led to a huge increase in conversion rate. The increase in revenue means the new solution has achieved ROI in just 9 months. JAK Marekting's improved design and UX means the website is easier to use across all devices. Focussed, clear messaging means visitors are quickly guided to around the website.